Following on from our very successful intercooler for the RS3 8v chassis, the Forge intercooler for the TTRS (8S) chassis builds on our reputation for delivering cores that offer real-world increases in power and temperature drops. Whilst the 8V chassis shares many components with the TTRS 8S, the space available behind the bumper is a different shape and the crash bar has also changed. This required a whole new intercooler and crash bar setup for this latest chassis. 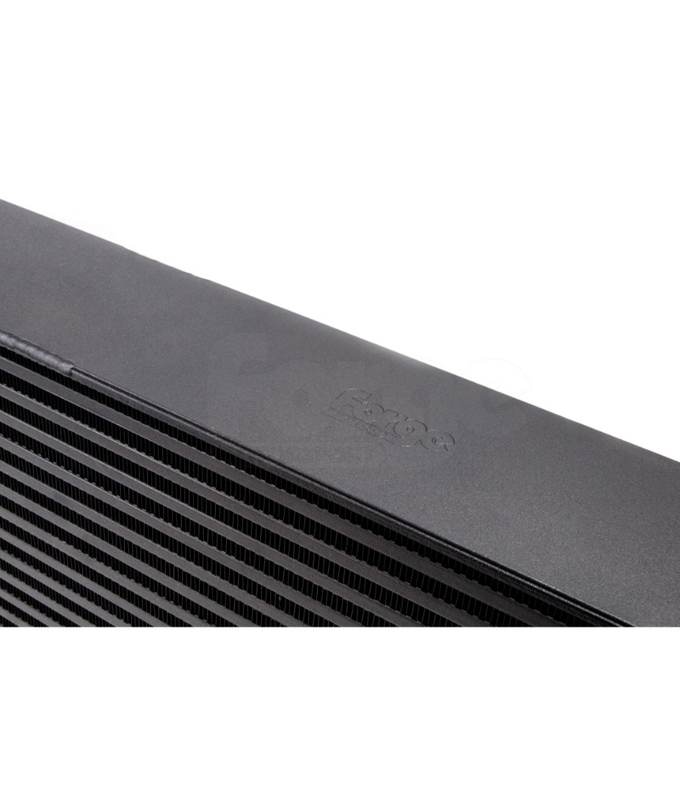 The TTRS core is a huge 640x250x100 and of bar and plate design. This gives it a huge 56% more surface area than stock, and an even more impressive 94% increase in volume. The end tanks are made with integrated pipes in order to retain the stock boost hoses, though you can also replace the hoses with our FMKT024 boost hose set if you so wish. 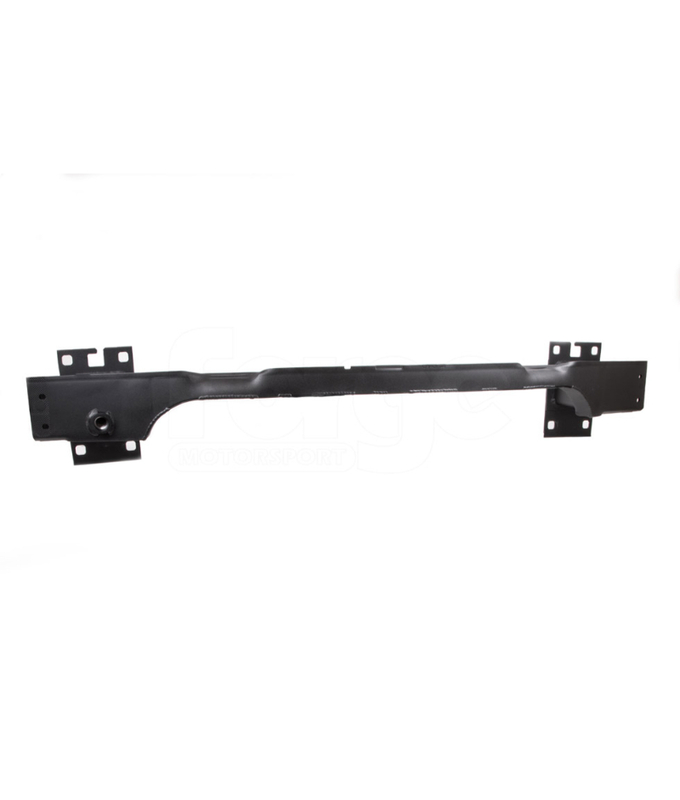 Just like on the 8V chassis, we supply a genuine Audi TTRS crash bar which we modify in house in order to accept the new larger core, then finish both the crash bar and core in our standard black crackle finish powder coat for maximum longevity. As shown in the graph above, for both tests we let the car heatsoak on the dyno until the radiator fans tripped on and off (which gives an inlet temperature of 36°C), then did a dyno pull from there. This gives a more consistent result and reflects real-world driving conditions more accurately. 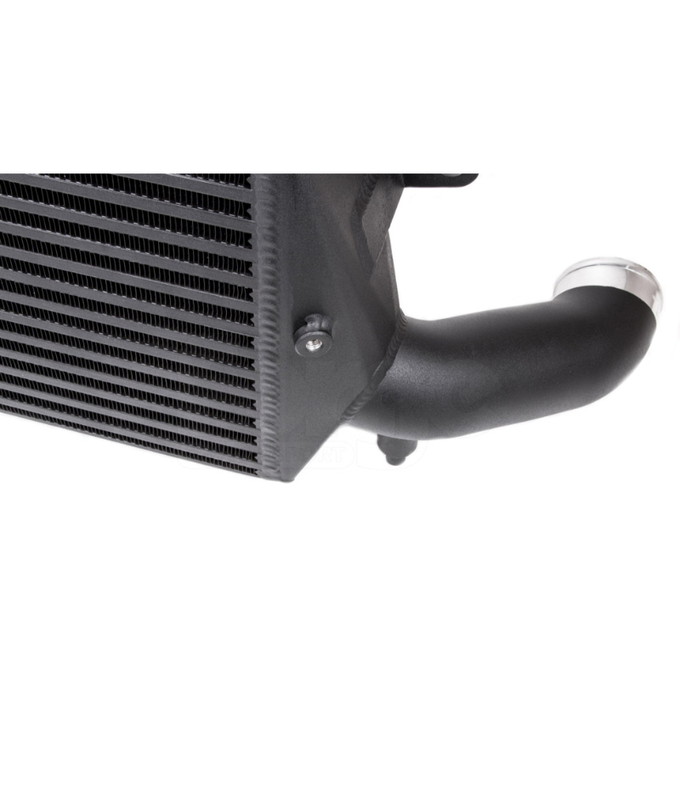 You can easily see the Forge intercooler cools much quicker and delivers a much greater drop in temperature compared to OEM. 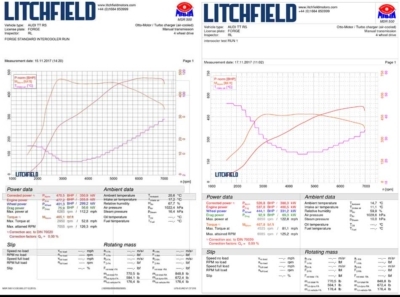 On the stage 1 car we tested on (with map and exhaust modifications), it made 470.5 bhp with a peak intake temperature of 76°C. 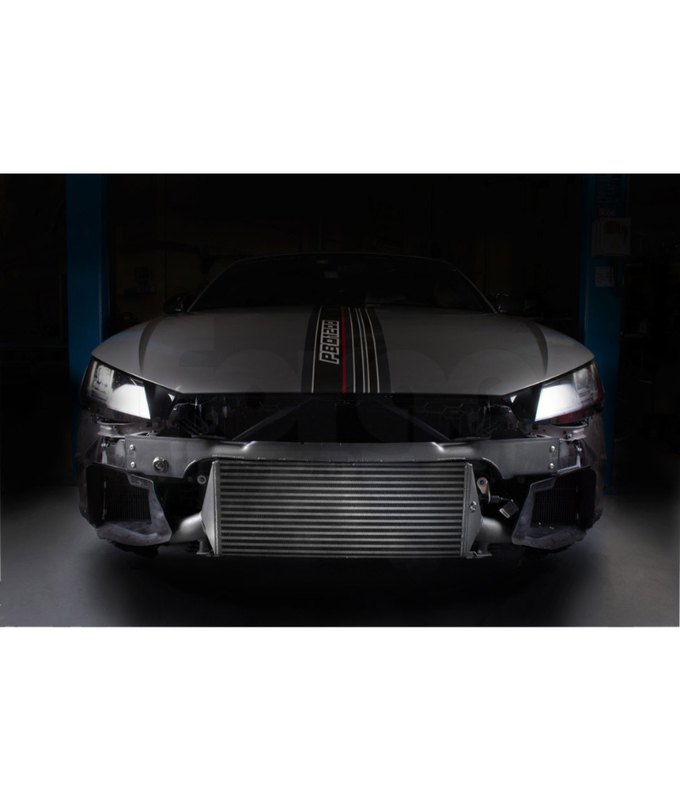 With just this intercooler fitted and no other modifications, the same car made 520.8 bhp with a peak inlet temperature of 34°C, a gain of 50 bhp and a drop of 41°C. 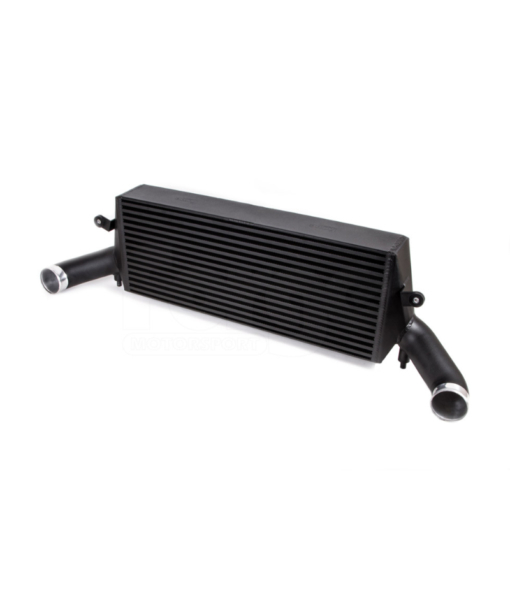 Gains on stage 2 mapped cars will likely be even more impressive as the stock intercooler core really starts to struggle on just stage 1 mapped cars. The kit contains everything needed for installation including full fitting instructions, which should take around 3-4 hours.